the lessons of Ayatullah Al-Uzama Nurudin Araki and Ayatullah Haeri and gained a tremendous amount from them. of Ayatullah Haeri that Ayatullah Araki became a Ruhani (this is when someone qualifies to wear the turban and the robe) and married someone from his own family. guidance and supervision. It was also during this very period that Ayatullah Araki got to know Ayatullah Khomeini, and had intense love for him. Ayatullah Araki used to teach and put forth the most complex of subjects for over 35 years in the Hawza of Qom. He was known for not being repetitive and used to carefully choose his words that would be full of meaning. were students of Ayatullah Araki for many years. During his blessed life, Ayatullah Araki was also a Marja-e-Taqleed of the Shias and wrote many books in the field of Fiqh and Usul. He was also an Imam of the Friday Prayers. AyatullAh al-U²ma al-HAjJ ash-Shaykh ‘Al« Arak« was born in the early 1890’s, but the exact date is not known due to the lack of appropriate birth records at the time, in the Iranian city of Arak. Following his preliminary religious studies, he demonstrated an aptitude to further his Islamic studies, and commented on the scholarly book, ‘Urwatul Wuthqa some 48 years ago (1952). This is a book upon which all Mujtahidin comment as soon as they are recognized as an expert in independent theological studies, according to their views. At the time of his review of ‘Urwatul Wuthqa, he was in the company of such great leaders as Ayatullah al-‘U¨ma Khunsari, and others. Although he was learned and a declared Mujtahid, following the demise of Ayatullah al-‘U¨ma al-Hajj as-Sayyid Khusani and Ayatullah al-‘U¨ma al-Hajj as-Sayyid Mu¦ammad Hussein al-Burujerdi, he did not openly declare his Marja’iyyah. He was one of Imam Khomeini’s teachers, having taught the Founder of the Islamic Republic the initial course of the Hawza entitled Jami’atul Muqaddamat. In other classes, he was a contemporary of the late Imam. Ayatullah al-‘U¨ma al-Hajj ash-Shaykh ‘Ali Araki was a strong encouragement to the Islamic Republic, and requently guided the government whenever requested. Upon the demise of Ayatullah Khomeini, many of his Muqalladin followed Ayatullah Araki. 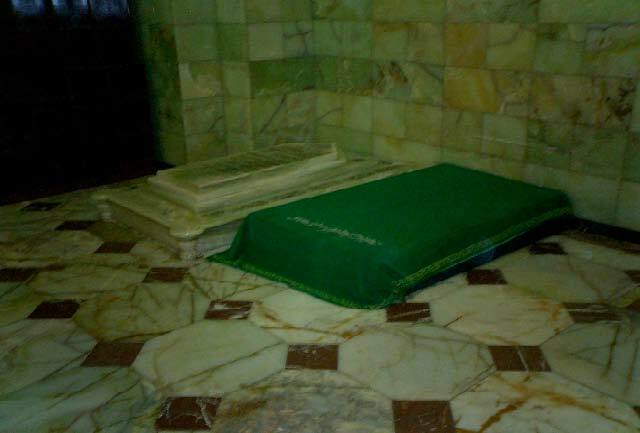 At the demise of the Grand Ayatullah al-‘U¨ma al-Hajj ash-Sayyid Abu al-Qasim al-Khoe’i (May Allah raise his rank), the Jamiatul Mudarrasin (Council of the Theological Schools) in Qum declared in a communique, the top most Marja’ to be either Ayatullah al-‘U¨ma al-Hajj ash-Shaykh ‘Ali Araki orAyatullah al-‘U¨ma al-Hajj as-Sayyid Mu¦ammad Ri¤a al-Gulpaygani, preferring the later, and on December 10, 1993, following the departure of Ayatullah al-‘U¨ma al-Hajj as-Sayyid Mu¦ammad Ri¤a al-Gulpaygani fromthis mortal world, the Council declared the grand Ayatullah Araki to be the Marja’ for the Shi’a world. The grand Ayatullah died on the 25th of Jumadi al-Akhar, 1994, one year to the day of the demise of Ayatullah al-‘U¨ma al-Hajj as-Sayyid Mu¦ammad Ri¤a al-Gulpaygani, and was buried in Qum on Thursday the 27th of Jumadi al-Akhar.